We are transformative advisers who enjoy listening to our clients. We begin with accurate financial information, then building a good business plan with LifePlan. This enables us to strategically coach our clients to be profitable, succeed in reaching their goals, streamline processes to free up time for the business owners to set and accomplish their dreams. These dreams may be for a more profitable business, a streamlined business, changing the business focus, or making sure that there is time away from the business for personal goals. As a successful QuickBooks expert with over 30 years of business experience, I am an accounting solution services entrepreneur who has advised hundreds of users and small businesses in Monmouth and Ocean County NJ. 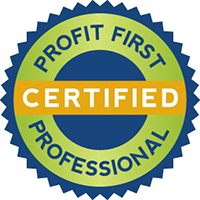 I have been an Advanced Certified QuickBooks® ProAdvisor since 2007 and a Top 100 ProAdvisor for the past 6 years. My experience has led me to become a LivePlan coach to make sure that businesses have profit first and set their goals based on that profit. I have an accomplished and efficient team of accounting systems professionals at Proficient Accounting Solutions, as well as providing advanced Enterprise QuickBooks and third party add-on software planning, instruction and custom reporting to accounting professionals and QuickBooks users. "LivePlan enables us to strategically coach our clients to be profitable, succeed in reaching their goals, and streamline processes to free up time to set and accomplish their dreams."